If someone asked me my entire pregnancy how I felt about getting an epidural, I would have answered in one word: terrified! The idea of getting a large needle shoved in my spine did not sound appealing, as it probably doesn't to anyone. The tables quickly turned when I was in the throes of labour, feeling every contraction and pressure, I practically screamed and begged for it, and couldn't get it in any faster. Every woman is different, and every woman has a different pain threshold, I knew that I was going to get the epidural, but having never had one I had no idea what to expect. So what exactly is an epidural? An epidural is a form of medical pain management. A needle is inserted into a woman’s spine, and a small tube is inserted. Through this tube, they will administer pain medication which pretty much makes you numb from the bump down. Modern medicine has made our lives so much easier, and while some women choose a natural childbirth, a lot of women are choosing to take advantage of all the advances modern medicine has brought us. 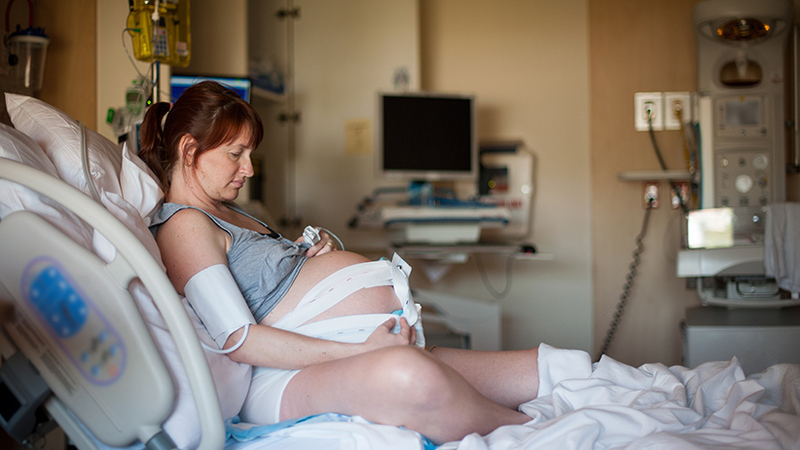 The chair of the Department of Obstetrics and Gynecology at Oregon Health and Science University stated that as of July 2015, two-thirds of all women who went into labour choose an epidural. If you are one of my pregnant friends out there, considering if you want an epidural, there are some things that you should all know. There are weird things that can happen with an epidural, and before you get scared, weird does not always mean bad. Just things I wish I knew before I got mine. Here are 15 weird things that can happen when you get an epidural. When you receive an epidural, it is so important that you stay perfectly still. You will be told how important it is when you are pregnant, and you think to yourself, how can I stay still while someone is poking my spine with a needle and I am having a contraction? You can! Your body’s ability to stay perfectly still while getting an epidural is amazing. You will most likely have some help from a nurse or your partner. You may either lay on your side, or sit up in a hunched over position while the needle is being inserted. It is important to stay still as they are poking around at a very sensitive and delicate area of your body, your spine. It is important that you stay completely still while they do this to ensure it gets entered in the right spot. Not easy to do, when you are having contractions that will only ease when you are moving. But, like I said, it’s weird, but you suddenly have some serious stay power skills. That’s right, you may get a slight electric shock when you are receiving the epidural. While I was in the middle of receiving my epidural, the anesthesiologist warned me that I may feel an electric shock, and I really thought he was trying to make a joke to lighten the mood. He wasn’t. I never felt an electric shock, but some women have. It sounds a lot scarier than it actually is, when the epidural is inserted into the right place, you may feel a slight jolt. Some women describe it as a shooting sensation running down one leg that feels like an electric shock. The good news is that it only lasts a second and within a few minutes you will move on to a numb paradise. The even better news is that if you feel this jolt sensation, it does not cause any lasting effects nor does it mean the doctor hit a nerve he shouldn’t have. Who doesn’t love an itch that won’t go away? The answer is not a lot of people. According to an article written by the National Center for Biotechnology Information, some women who get epidurals can start to itch. It states that it all depends on the type of opiate that is used in the epidural. The good news is that if a woman does suffer from some itching, it is usually not severe, and can be fixed with some other medications. Some women experience itching after the epidural. This can be treated easily placing a cold compress on the site. The contrast of temperature can be very calming and can stop the woman from itching so much. A problem can come quickly for a mom who itches so much that she breaks the skin, so it is important to get that itch under control. Again, every woman is different and many do not experience any itching at all. Once that epidural starts working, you will suddenly be at complete peace and bliss. As you lay there, finally able to relax, you get to look over at the little monitor and watch your body go through labour on their screen, without feeling anything. I though it was absolutely absurd that the nurse would tell me that I had just had (or was having) a large contraction when I did not feel a thing. I found it weird, but amazing! Some women prefer to feel their contractions, and all the credit to them, I preferred to watch them on the little screen. One benefit of an epidural is that it really does allow to you soak in all the parts of your labour without having to combat the pain of contractions. It also allows you to build the strength you will need when it comes time to push that little baby out. That really is the most exhausting part. Who would have thought that you can take a nap while you are in labour? Not many people would think that, until you get that epidural! Labour is long, hard and exhausting, so it is crucial for moms to get some rest throughout the labour. Not the easiest thing to do when you are battling contraction pain every 5 minutes. Enter the epidural. Due to it’s amazing ability to relieve a lot of discomfort, moms are able to get the rest they need, and may even be able to fall asleep until the hard job of pushing comes around. Now, the epidural may make it easy for you to sleep, but, sometimes a hospital setting can make it difficult. With nurses coming in to check you every so often, and all the beeping it may not be the best sleep environment. I remember the nurses kept coming in to check me and telling me to try and sleep because I will need the energy. I wanted to scream at them that I would sleep if they would stop coming in and shoving their hand up me! Even if you can’t sleep, the rest that epidural will allow you to have will be good enough. Some woman who are thinking about an epidural may think that it’s one shot and it’s done kind of deal. It isn’t always. Some women need a top-off of more medication throughout their labour. This will all depend on an individual person and their own personal needs throughout childbirth. The good news is, if a woman needs a top-off all they need to do is ask. Ask and you shall receive. Epidural is no different than any medication. It wears off over time. Just like your average Tylenol or Advil, there is a ‘medication clock’ ticking to when the medication will wear off. A lot of times this makes it necessary for women to receive more, or a “top off” of more medication. The top offs that they may give you may last anywhere from one to two hours. With an epidural, they will most likely also give the mom a little button to press so she can self administer more as she needs. This is very beneficial for a busy hospital so that moms don’t have to wait in pain for a doctor to give them more. Some people may find this epidural fact weird; that sometimes it just doesn’t work. It can be hard to comprehend that with all this modern medicine and advanced technology that there is a chance that it will not work. While it does happen, I am happy to report that it doesn’t happen very often. The reasons that an epidural may fail can be due to a number of reasons. It could be because the epidural wasn’t placed in the right spot to begin with. The catheter can move at some point during childbirth, or the woman’s labour was too fast and furious. There are also cases of it only partially working. That’s right, mom’s all over have stated that their epidural only numbed half of their lower half. I can’t imagine anything for disappointing than a woman who needs pain management, and is trusting in an epidural, because why wouldn’t she, and it just fails her! It’s the ultimate betrayal. What I found most shocking and weird about my epidural is that it was cold. The initial does wasn’t cold in itself, but I felt cold after. When I had to get a top-off, that was another feeling, I could actually feel the cold liquid going through my blood stream; it was weird. The jury is out on why the epidural makes women get the shivers. Some say that it has nothing to do with the epidural and it is just a reaction in the surge of hormones going on in the woman’s body. Others say that when a woman gets an epidural, the blood flow to the legs is dramatically increased. If the legs are even a few degrees cooler than her torso the blood will return to the heart at a colder temperature. They call this redistribution hypothermia. I think that sounds very reasonable. OK, so you can still pee, it doesn’t stop or prevent you from peeing. You just won’t be able to get up and go to the bathroom. You will have to get a catheter inserted in order for urine to exit your body. A catheter is a small tube that is placed within your urethra which allows urine to exit your body. I know this doesn’t sound appealing or fun, but by the time they go to insert the tube, the epidural will have kicked in and you won’t feel it. A lot of women enjoy getting up and walking around when they are in labour, and with an epidural you are pretty much tied to the bed. I enjoyed just being able to lie there and not have to worry about going to the bathroom, it seems like a treat after the late pregnancy pee game! Having a catheter can also be beneficial to the medical team. The urine is emptied into a bag that is usually hanging off the side of your hospital bed, so they will be able to quickly see if the mom is dehydrated. Nobody enjoys a headache, but it can be a side effect of receiving an epidural. Sometimes, when someone receives an epidural may develop a type of headache that’s called a post epidural puncture headache. It doesn’t start right away; it can sometimes take up to one week following the birth before a woman feels it. Probably the worst part of these headaches, it the only option you really have is to wait it out, there is no medication that you can really take to relieve the pain from this type of headache. It has been described as a very bad migraine and women can find some relief by laying down. It sometimes comes with some neck pain and general sickness. This doesn’t always happen, so women don’t have to fear getting an epidural, and if it does it will go away. Just keep saying; this too shall pass. If you asked me what was the best part of my labour, other than meeting my daughter, I would say it was getting the epidural. The moment I got the epidural was the moment my labour went from excruciating pain to enjoyable. There is always a debate on whether having an epidural allows a woman to enjoy labour. Women who choose to go natural state that they enjoyed feeling every part of their labour and that it helped them feel more connected. There is no right answer here, as every woman has a different pain tolerance threshold. There are always stories of moms who got the epidural and were very sleepy after, and there are also all natural moms out there who were just as exhausted. So, to each their own, but if you get an epidural it may just be the best decision you have ever made! One of the main reasons that people stray away from getting an epidural is because it is known for slowing down labour. When your labour is slowed down, you may find yourself needing other medications, such as Pitocin to speed labour back up. I was at least one of these women, my contractions started to slow down, when all I wanted was for it all to hurry up! It has also been shown that receiving an epidural slows down the pushing stage of labour. It is estimated that woman who choose to have an epidural may be in labour two to three hours longer that a woman who does not have the epidural. They don’t really know this happens, but since the epidural makes a woman feel relaxed and numb, it could be harder for her to know exactly when it’s time to push. This is something that I didn’t know the epidural could do, it can lower your blood pressure. This may not be a good thing for a woman if she has normal or low blood pressure to begin with, as it will reduce it even more. It may be beneficial to those woman that have higher blood pressure. They don’t use it as a method to treat preeclampsia, the only way to treat that is to deliver baby. One benefit of being in a hospital is that they are always there to monitor your vitals, such as blood pressure. If a woman is getting an epidural she shouldn’t worry too much about her blood pressure getting dangerously low due to the epidural. She will be monitored, and there are professionals there who can help correct any fluctuation in levels. Of course, it is also something that may happen, it also may not! Did you know that a doctor can so no to giving you an epidural? It can be very hard for a mom to be told what she can and can not do or have while she is in labour. It is her body and her birth and she should be the only one to make important decisions. So, it can be very hard for her to hear the words no when she asks for an epidural. But, there are many reasons why doctors do refuse giving an epidural, and most of the reasons have a very good explanation. Doctors will say no to mom if it is too early or too late. If a woman is only a few centimeters dilated, the doctor will tell her to wait, because an epidural can slow down labour. If she is too far into her labour, he will also refuse. It also may just come down to the hospital being too busy and they can’t get to you in time. If a person has never had an epidural, they may see it as something that completely numbs them from the waist down. Wrong! An epidural does not take away all the feelings for the mom. The good news is that it does take away a lot of the pain, but a mom will still feel pressure. Near the end of the active stage of labour and when it is almost time to push, a woman with an epidural will start to feel a lot of pressure in her pelvic area. This pressure feeling is actually a really good thing. It allows the mom to be able to feel her contractions (somewhat) so that she knows when to push. Without a mom feeling this pressure it may be hard for her to be an active participant in the pushing stage, and she’s kind of a critical player in that part.